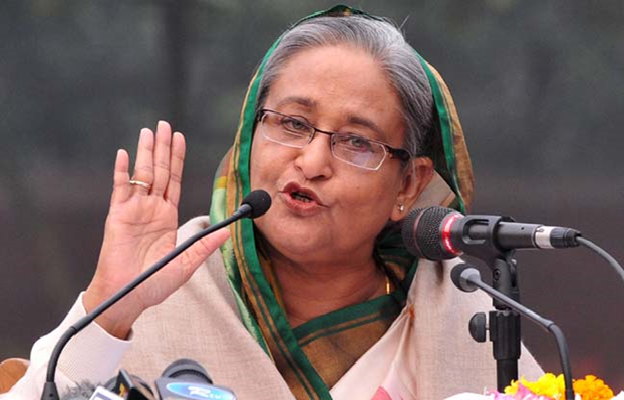 The Prime Minister of the Republic of Bangladesh, Sheik Hasina, has called for a global shift in the perception of Moslems in order to realize a fresh start to shaping a world of sustainable peace, solidarity and prosperity. She decried the perception of Islam as a religion of violence and extremism; while urging the Islamic world to resolve its conflicts through the peaceful means of dialogue rather than force of arms. The Prime Minister made these remarks on 5th May, at the 45th Session of the Council of Foreign Ministers of the Organisation of Islamic Cooperation (OIC). Uganda's delegation to the Conference was led by Hon Philemon Mateke, Foreign Affairs State Minister for Regional Cooperation. It consisted of Ambassador Ahmed Ssenyomo, Deputy Head of Mission in Riyadh, Mr Habib Migadde, Ms Jackie Kemirembe and Mr Daniel Mulekezi all from the Riyadh Mission. Ms Margaret Kedisi, Minister Counselor at the Uganda High Commission in New Delhi, the Mission with oversight for Bangladesh, among other countries, added weight to the Ugandan contingent at the Conference. Uganda joined the OIC in 1974 and is an active member in a body, with a membership of over one billion people globally, which seeks to promote international peace and harmony. The 45th Session of the OIC Ministers drew participation from all its 57 member countries. Held in Dhaka, Bangladesh, a new executive was elected. Uganda's Deputy Head of Mission in Riyadh, Ambassador Ahmed Ssenyomo, was made Assistant Secretary General in charge of economic affairs at the new Secretariat of the body. A distinguished Ugandan diplomat, Ssenyomo has served his country in many stations abroad including Washington DC, Cairo and Jeddah. He rose within the civil service ladder in Uganda's Ministry of Foreign Affairs, to become the Government's Chief of Protocol and Ambassador. Ssenyomo is not new to OIC. Earlier on in his diplomatic career, he served as one of its programme officers.